The Ithon Explorer Trail is an exciting six day trail ride with long days in the saddle and interesting overnight stops. 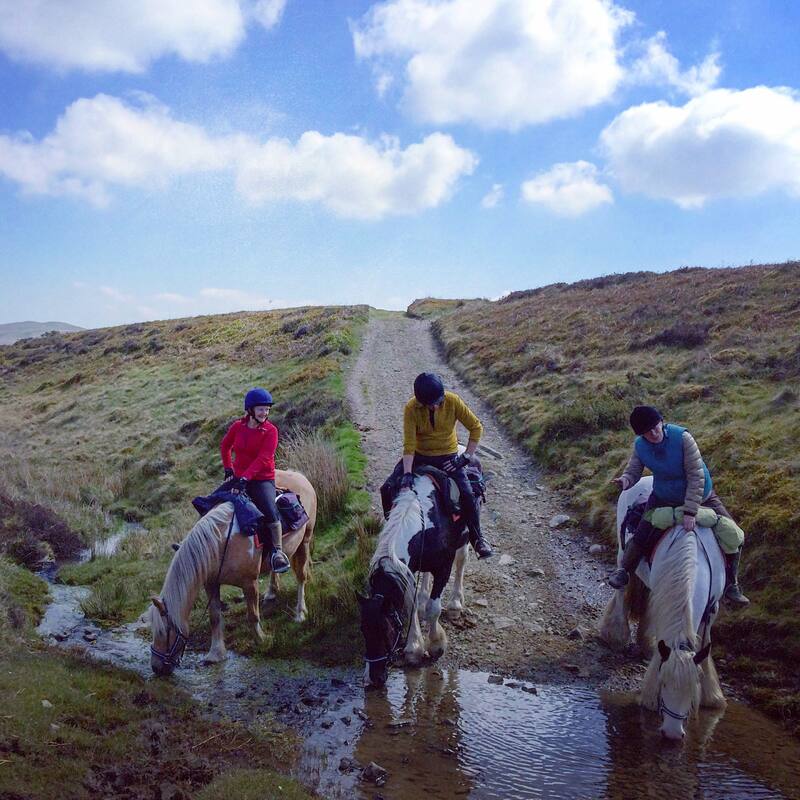 One of my personal all time favorite Freerein trails, this comes highly recommended. We all look forward to welcoming you on the Ithon Explorer Trail Ride . . . The Ithon Explorer Trail . . . This is a six day trail ride staying overnight at varied and interesting accommodations. It heads all the way up to the Teme Valley on the Shropshire border and then over to the Ithon Valley in remote Mid Wales with an overnight stay at Abbeycwmhir. It is six lengthy days in the saddle of 16-18 miles per day. During this trail, riders are able to explore Beacon Hill a fine piece of hill with lots of tracks, great canters and panoramic views. It is a remote and seldom visited part of the Radnor Hills trail network and is highly rated by staff and customers. For Freerein+ trail riders only . . . Heading north . . . The ride to Old Radnor from Freerein HQ could take you across the moors to the Royal Oak for lunch – but this would mean moving swiftly with plenty of trots. Otherwise bring packed lunches and ride via Glascwm Hill and Black Yat to Old Radnor. Here you stay the night at the Harp Inn or Bracken Ridge B&B. To the Teme Valley . . .
An interesting and varied day first over Bache Hill and then the Radnor Fforest. The route then takes you via Monaughty and onto parts of Glyndwrs Way eventually leading to Knucklas and your night’s stop at Belmont Cottages, a pretty little B&B in the village. Evening meal is at the Castle Inn, 2 minutes from your B&B. 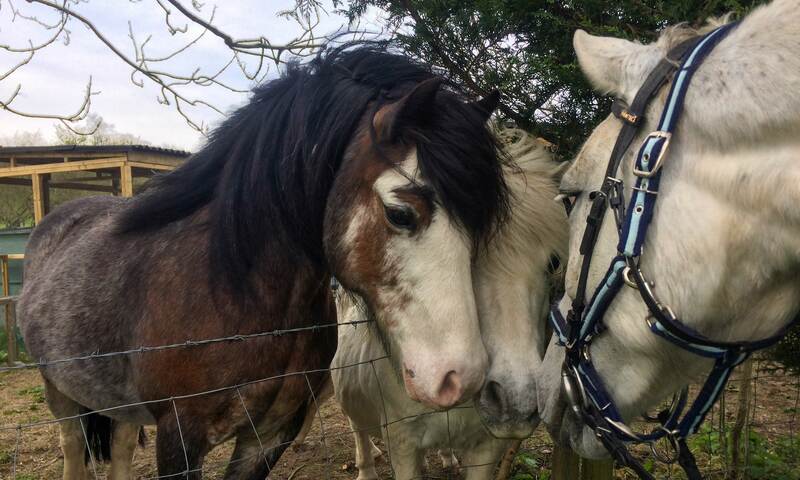 Your horses stay the night a 10 minute walk away at a local farm. 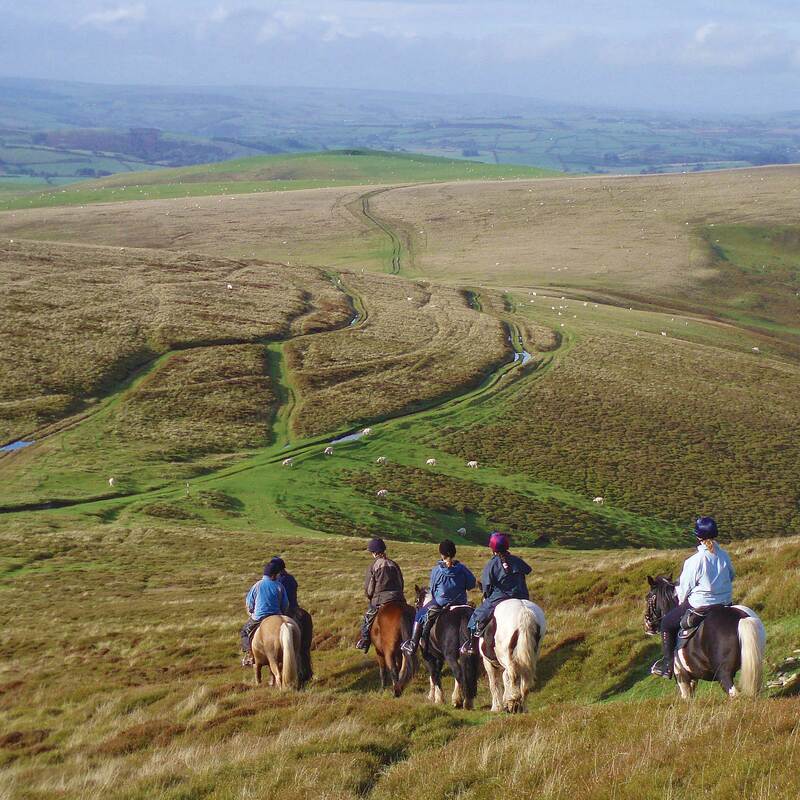 Explore remote parts of the Freerein trail riding network . . .
A fantastic day follows covering the length of Beacon Hill, spending the whole day on open hill. Possible off piste detour to Radnor Arms pub at Beguildy for lunch. You then drop down off the open hill to Brandy House, your overnight stop in the Teme Valley. One of my personal favorite days on trail anywhere. From the Teme Valley you head west across Moelfre Hill, through Llanbister (possible lunch stop), cross the Ithon Valley following parts of Glyndwrs Way to Abbeycwmhir and a night at Laurel Bank Guest House. Worth a visit in the village is The Happy Union Inn whose sign features a rotund gentleman riding a goat and sipping a mug of ale. From here you head to Penybont (a possible lunch stop) then climb onto the westward edge of the Radnor Forest, along this and down to Llanfihangle Nant Melan. Here you stay over at the Red Lion Inn or the Fforest Inn. This is the perfect launchpad for the route back to HQ over Black Yat, Llanfihangel Hill, Cwm Kesty, Bryngwyn Hill and Painscastle. Perhaps a swift beverage at the Roast Ox and then pop back over the Begwns to Freerein HQ. Arrive at Freerein HQ. Meet horses and check your maps and routes. Transfer to Painscastle where you start the ride from. Out on trail all day and stay overnight at Old Radnor. Return to Freerein HQ for tea/coffee and homemade cake. The locals come in all shapes and sizes! Beacon Hill, Teme & Ithon Valleys and a visit to Abbeycwmhir, highly recommended . . .